While the #EXO5 Anomaly is kicking off this weekend, it's also time to celebrate the 3rd birthday of #IngressFS !! This month, we have a very special challenge that will need everyone's help and FS Events will need to work together to unlock some very special Passcodes that are unlike any other FS passcode before it! Use the #ifs3rdbday hashtag to help unlock the passcodes. 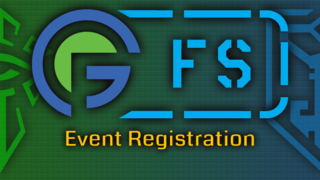 Find an #IngressFS event near you and join in the celebration!